Thomas studied pop music at the Liverpool Institute for Performing Arts, lost faith in the formulaic nature of pop and went on to obtain a PhD in Sonic Arts, researching alternate methods of composing and organising sounds. All the while, a restless musical mind and questioning nature led him to confront genre boundaries and hybridise styles across a wide range of leftfield and experimental pop genres. 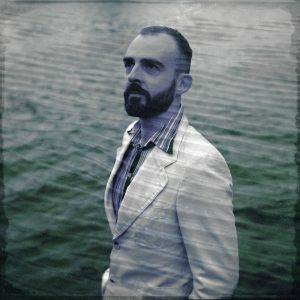 Having chosen Berlin as the basis of his operations a decade ago, the city’s ubiquitous continuum of electronic music and constant reinvention have left a strong mark on his musical output, albeit filtered through the artist’s unique perspective and mixed in with influences ranging from krautrock and early electronic music to modern techniques of composition and improvisation. Thomas has performed and collaborated internationally as Psychonautilus or within other contexts. His work includes music for art installations and dance performances, remixes, lectures and essays. He teamed up with fellow Berlin-based producer and sonic adventurer Alexandre Decoupigny (aka Plastik) to form Psycho & Plastic in 2011. Since then, the two have been pursuing their own brand of psychedelic dance music, bending their musical identity from club live act to electronic band and back again. In 2013, the duo also founded their own fiercely independent label GiveUsYourGOLD, giving a home to a growing number of other artists and their nonconformist music.